For the first time ever our school took part in “The Big Challenge“. 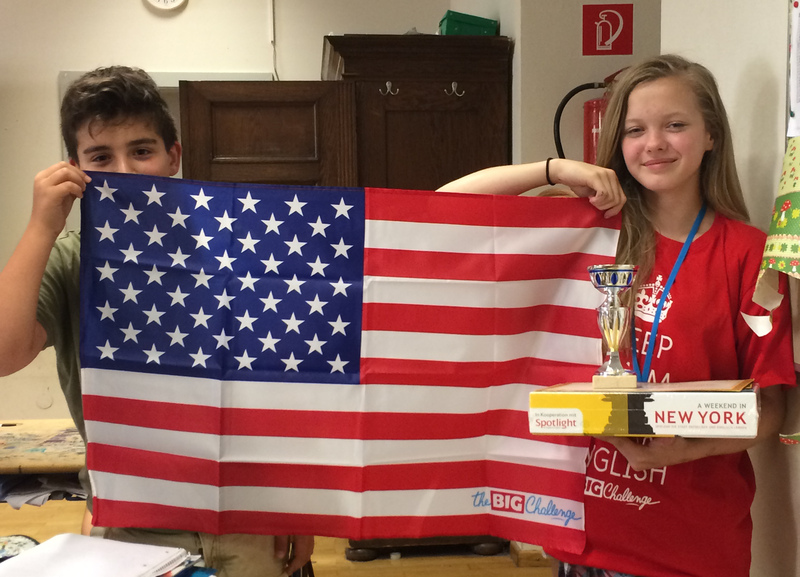 It’s a European English language competition, in which countries like France, Germany, Spain and Austria take part. 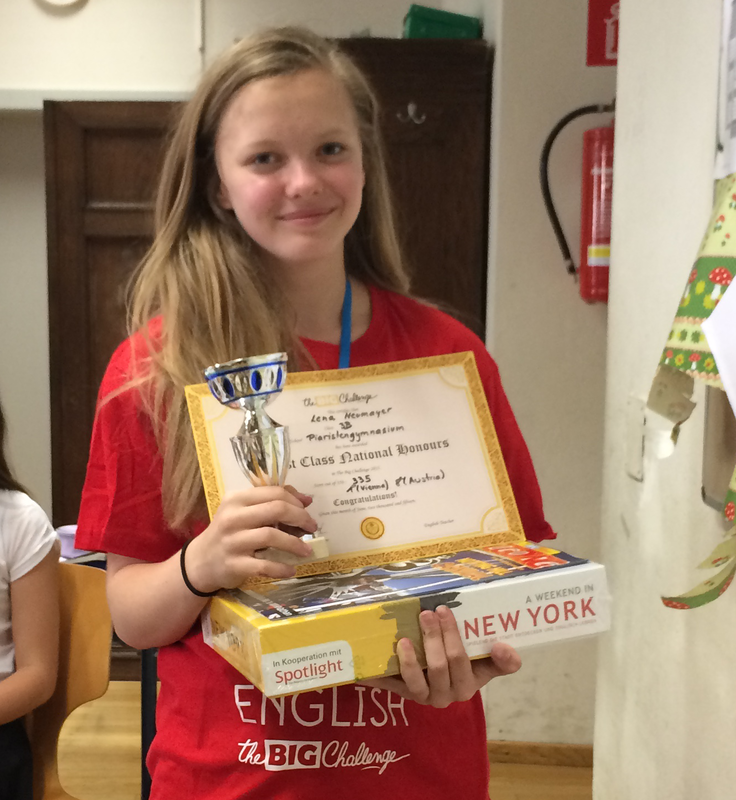 More than 400 students in Vienna competed in Level 3 (year 3) and Lena outdid them all. Every level/learner year was ranked separately and students were able to study on the official Big Challenge internet website to prepare themselves with mini-games. 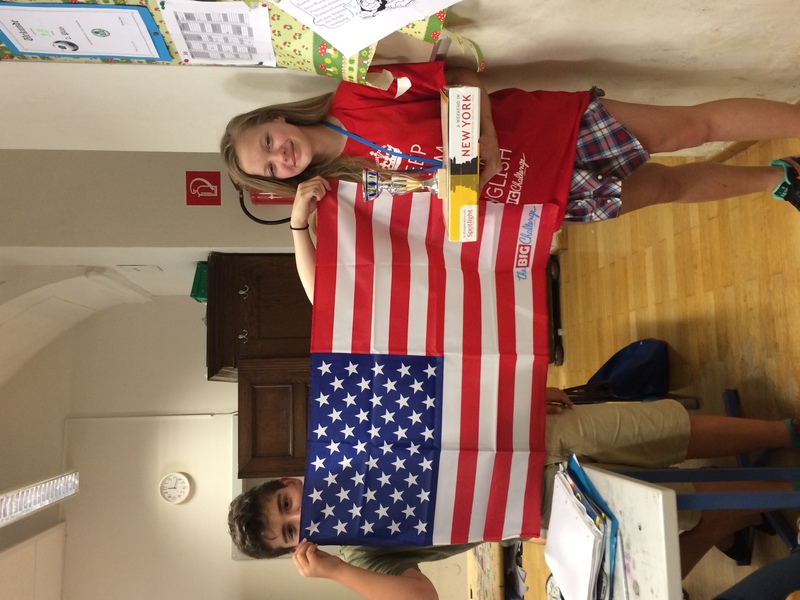 Every participating student won a magazine, flag or a calendar. In addition to that, everyone received a certificate.